On Jan. 3, SAVES relocated to 1002 E. Avenue Q-12 in Palmdale, the former location of the Senior Center. PALMDALE – South Antelope Valley Emergency Services (SAVES) has moved to a bigger, more modern and more convenient location. “It’s about three times as large as the space we had at the old building,” said SAVES Coordinator Patricia Morales. 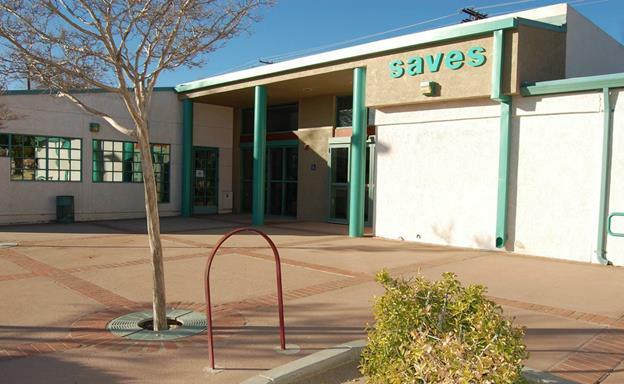 SAVES, a City of Palmdale program that offers assistance to individuals and families who are experiencing a temporary emergency situation, is now located at 1002 E. Avenue Q-12 in Palmdale – the site of the former senior center. SAVES now has a client waiting room. 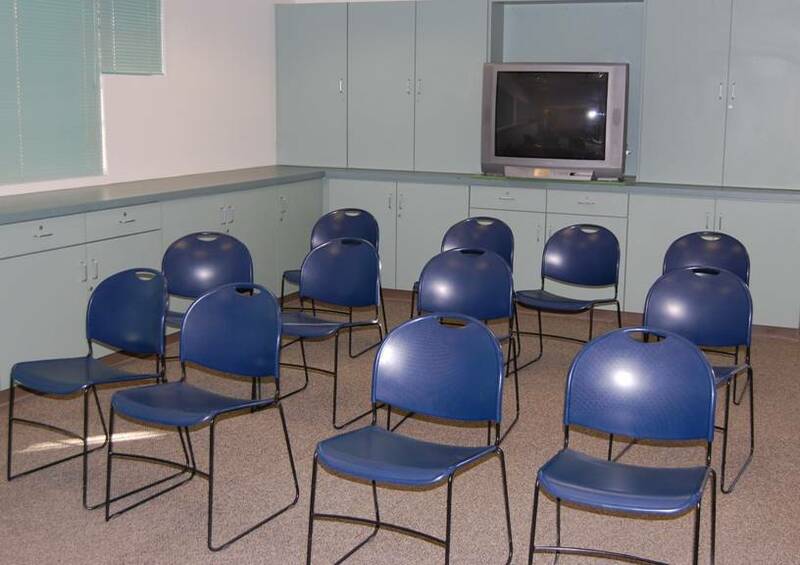 A new client waiting room where clients can read magazines and watch television while waiting for services. A larger and more accessible parking area. SAVES Boutique. The operation will now have its very own onsite clothing store, offering free clothing and small home appliances to clients. SAVES Boutique opens in February. 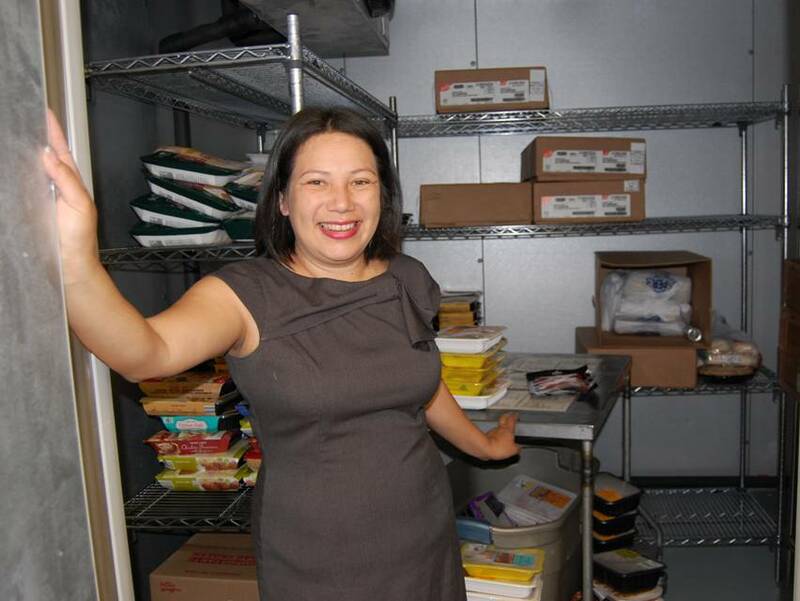 A new walk-in freezer for storing and preserving more food donations. The new walk-in freezer will allow SAVES to preserve and store more food donations. 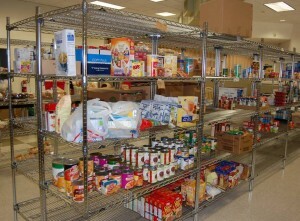 A much larger space to sort, assemble and store food donations. A huge kitchen for preparing food packages for clients. A separate room for safely storing client files. “We get a lot of personal, sensitive information from our clients, and we now have a specific room that can be locked, where we keep all our client files,” says Morales. A new break room with storage lockers for employees and volunteers. 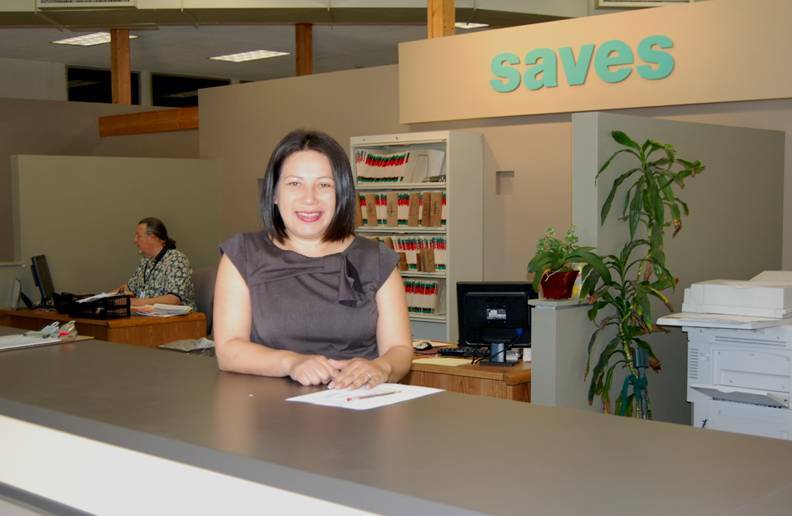 The new location also includes two offices, which will be reserved for external nonprofit organizations that offer services complementary to SAVES. Morales says SAVES is in talks with the Department of Public Social Services (DPSS) with the hopes of getting an outreach coordinator in one of the offices so that clients can apply for food stamps at SAVES, rather than going to Lancaster. The new space is three times as large as the old facility. 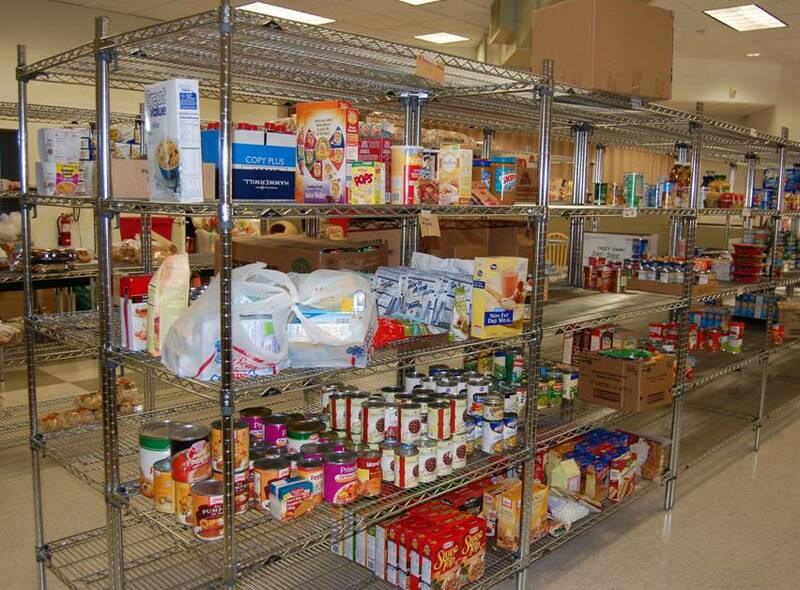 There’s much more space to sort, assemble and store food donations. The community is also becoming more aware of the services that SAVES offers, thanks to the new location. Morales says, within a day of the move, SAVES received more than a dozen walk-ins from potential clients who previously had no idea that such a service existed in Palmdale. The new traffic means more volunteers will be needed. Currently the organization has two paid staff workers and 17 volunteers. They are looking for more volunteers who are interested in serving the community. Palmdale senior, Altheia Hogue, answered the call to volunteer Wednesday. Hogue, who is retired from the Department of Motor Vehicles, volunteered to man the new waiting room. You too can make a difference by offering your assistance to an organization that helps so many Palmdale families in need. To make a donation, to sign up to volunteer or to obtain more information about the City of Palmdale SAVES program, call 661-267-5191 or visit their website. 1 comment for "SAVES gets a new home"
Great article! Thank you for showcasing a very important, vital and effective organization that is meeting needs in the South Antelope Valley!